Dr. Jackie Crossen-Sills is a Professor in the Doctor of Physical Therapy (DPT) program at the University of ST. Augustine, in Saint Augustine, FL. Dr. Crossen-Sills earned a BS in Health Education from Springfield College, BS in physical therapy from New York University, a MS in physical therapy neurology from the Northeastern University, and a PhD in physical therapy at Nova Southeastern University. Her dissertation topic was, “Using the OASIS to Predict Risk of Falls in Older Adults”. Dr. Crossen-Sills is an experienced physical therapist with more than 30 years of clinical, instructional and administrative experience. Her experience as a physical therapist clinician, clinical instructor, manager, and administrator is diverse providing care and services to all ages in the areas of acute, neurology, rehabilitation, home health and end of life services. Her research has been published in journals such as Home Health Care Nurse, Nurse Practitioner, and Nursing Clinics of North America. 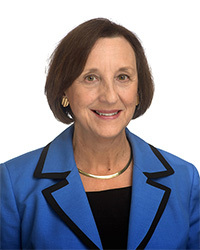 Dr. Crossen-Sills has presented nationally on topics such as: Transforming Clinical Practice to Meet the Future, Integrative and Innovative Care for the Diabetic Patient on Telehealth, Implementing a Chronic Care Program Utilizing Self- Management, Evidence Based Principles and a Multidisciplinary Approach and Neurological Rehabilitation.